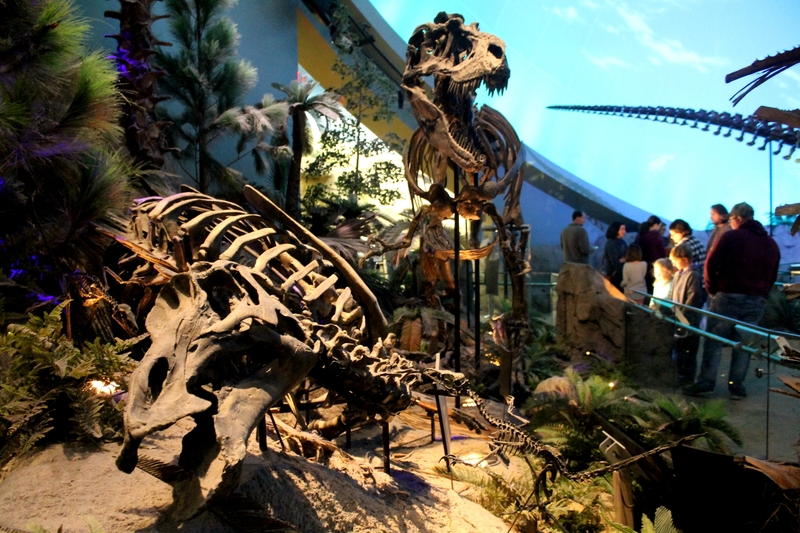 Do fossil exhibits have too many dinosaurs? Reflexive discussion about the practice of communicating paleontological science to general audiences has become more common recently – there was even a two-day Popularizing Paleontology workshop in London last year. 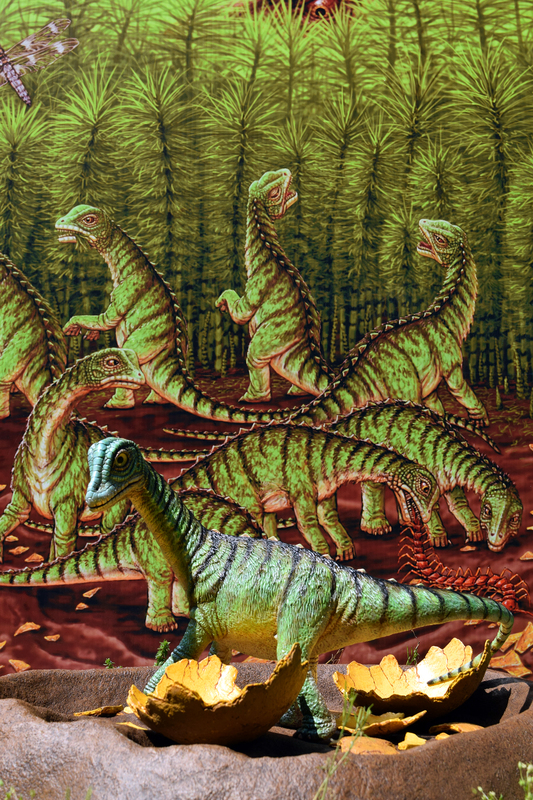 It’s about time – paleontology encompasses some of the most important questions about the world around us, from how life evolves to how ecosystems respond to planetary changes. 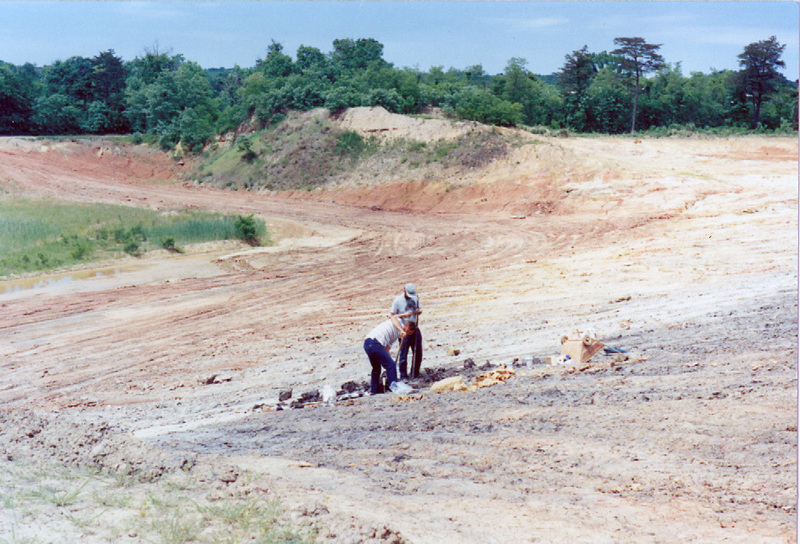 Paleontology is the study of how the world came to be, and our understanding of the natural world is hopelessly incomplete without it. 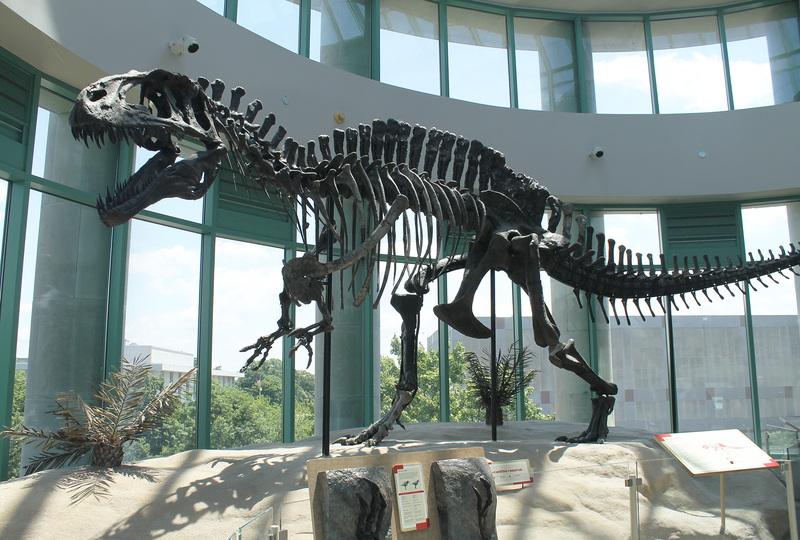 For the larger public, however, paleontology is synonymous with dinosaurs, and this can be a problem. 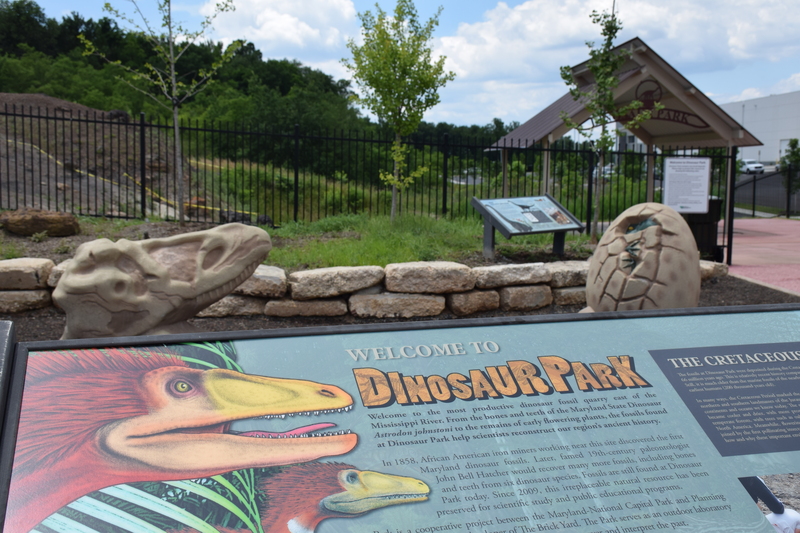 Dinosaurs are awesome, but they are but one branch of the tree of life. And while their 160 million year dominance is significant, the era of non-avian dinosaurs is only a fraction of the 3.5 billion year history of life on Earth. Their story is not the only story worth telling. 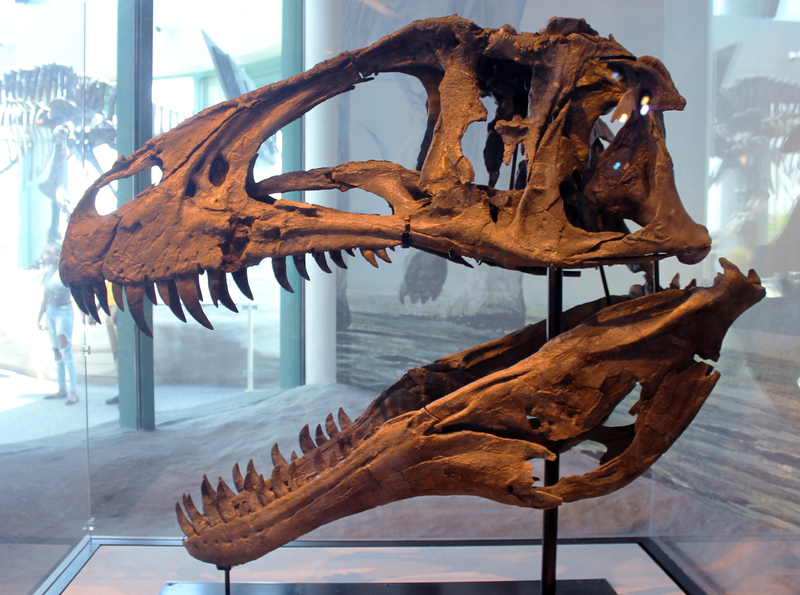 Why the outsized fascination with dinosaurs? I suspect it’s the result of a self-perpetuating cycle. Human curiosity peaks somewhere between subjects an individual knows well and subjects that are completely new to them. In other words, people prefer to learn about things they are already familiar with. 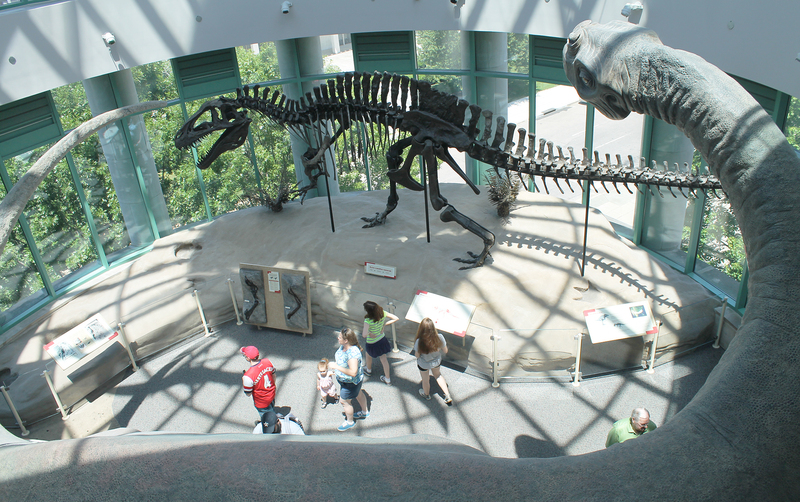 That means that museum visitors are drawn to dinosaurs like Tyrannosaurus and Apatosaurus because they already know something about them. Meanwhile, other fascinating creatures are bypassed precisely because visitors lack an existing mental framework to contextualize them. Somewhat paradoxically, in the sphere of informal learning, familiarity is king. 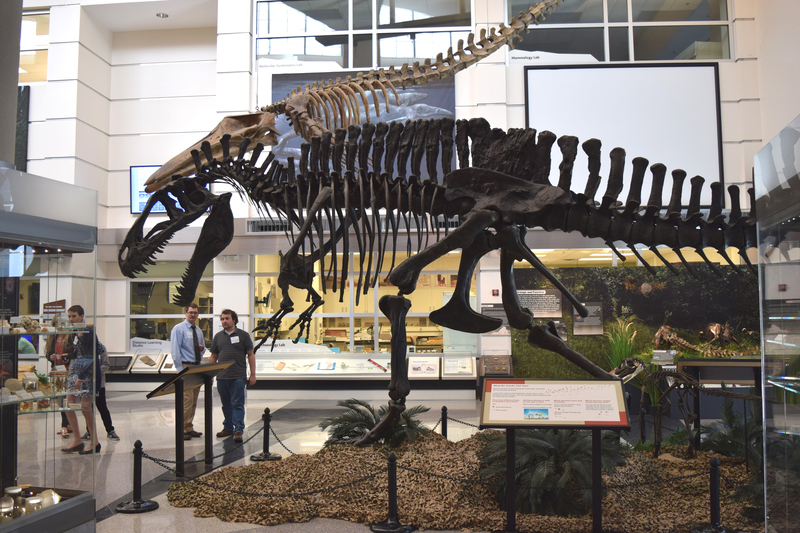 Generally, educators have been happy to indulge the public craving for dinosaurs*. 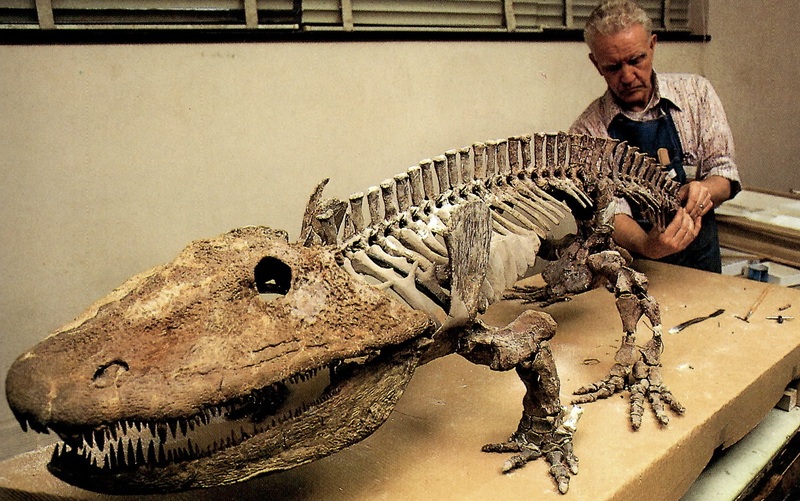 In a must-read blog post resulting from the aforementioned Popularizing Paleontology workshop, Mark Witton describes dinosaurs as “one of the most important and potent tools at our disposal” because they are “gateways” to discussions about evolution, extinction, deep time, and even the nature of the scientific method. 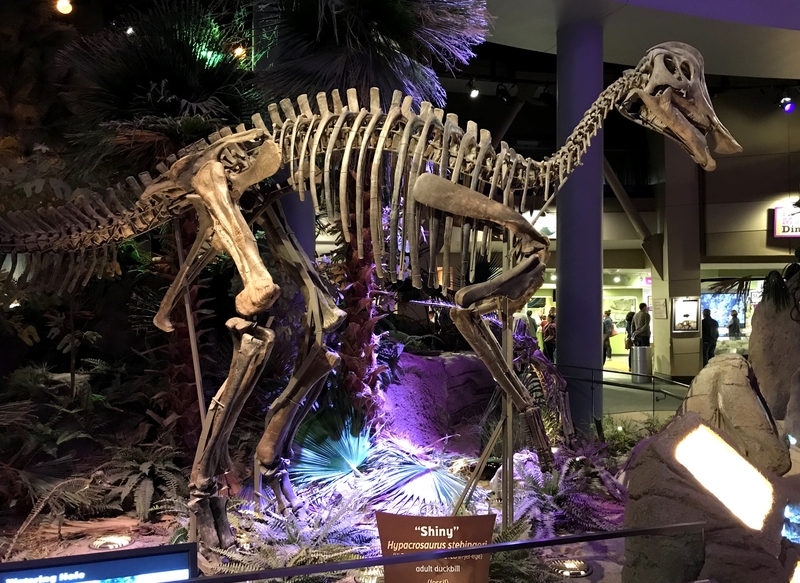 Witton then unpacks this conventional wisdom, highlighting several ways that relying on the built-in appeal of dinosaurs may not be as effective as traditionally assumed. It’s a fascinating discussion that I highly recommend reading. Witton’s post got me thinking that if we’re going to consider easing up on dinosaurs in outreach efforts, we need some sort of baseline to firmly establish if (or the degree to which) they are being overused. 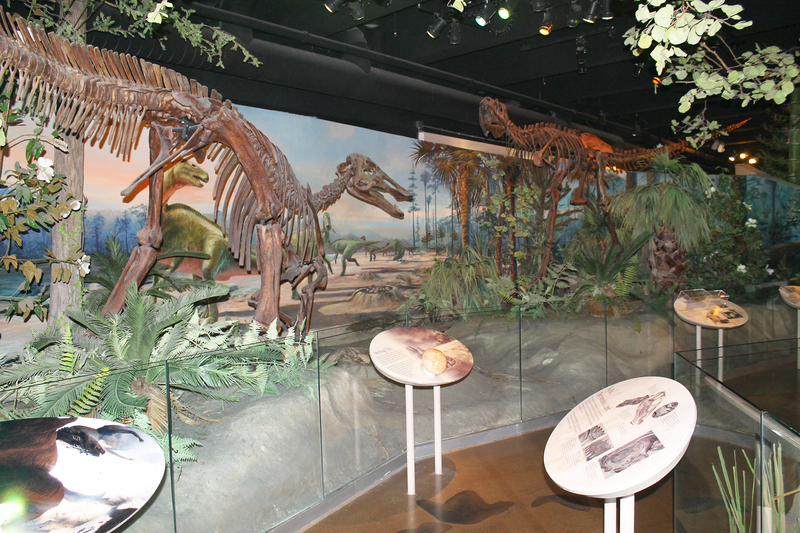 One argumentum ad nauseum in these conversations is that museum exhibits are overstocked with dinosaurs. 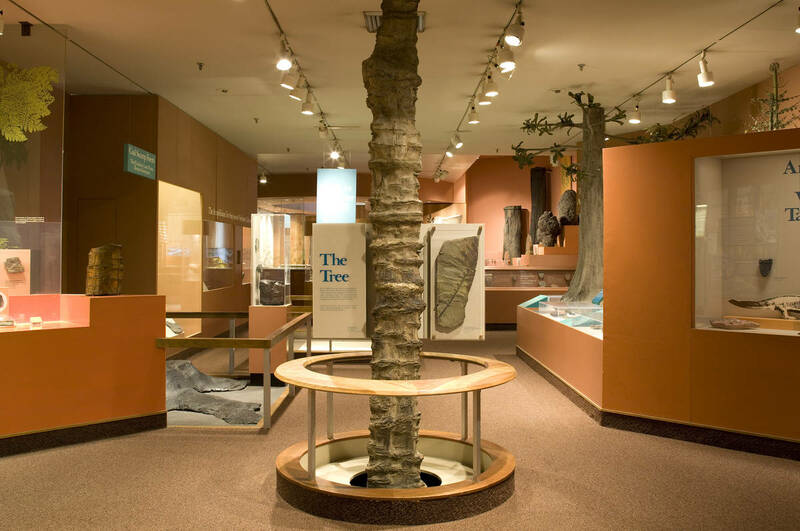 Allegedly, exhibit designers have responded to the popularity of Mesozoic dinosaurs by devoting an excessive amount of exhibit space to them, while relegating Paleozoic and Cenozoic specimens to the collections. This supposition can be (very, very crudely) tested by comparing the percentage of available exhibit space to the percentage of time non-avian dinosaurs dominated the planet. 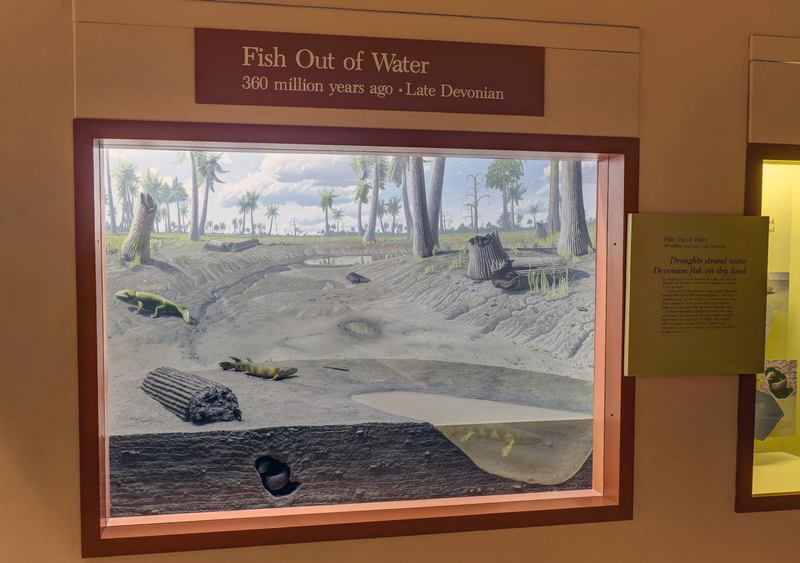 Assuming that exhibits should not be expected to allocate proportional space to pre-Phanerozoic life, I figure that the “Age of Dinosaurs” should cover 30-35% of an exhibit about life since the Cambrian (~160 million out of 541 million years). 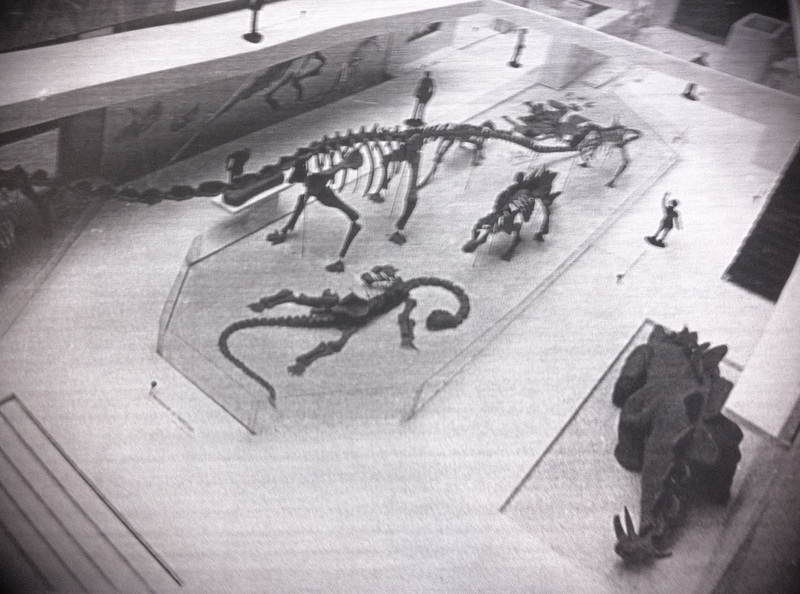 To satisfy my own curiosity, I’ve gone and checked this figure against the three big paleontology exhibits with which I am most familiar. The slapdash maps below are traced from museum guides available online, with percentages calculated with the help of the Photoshop ruler tool. 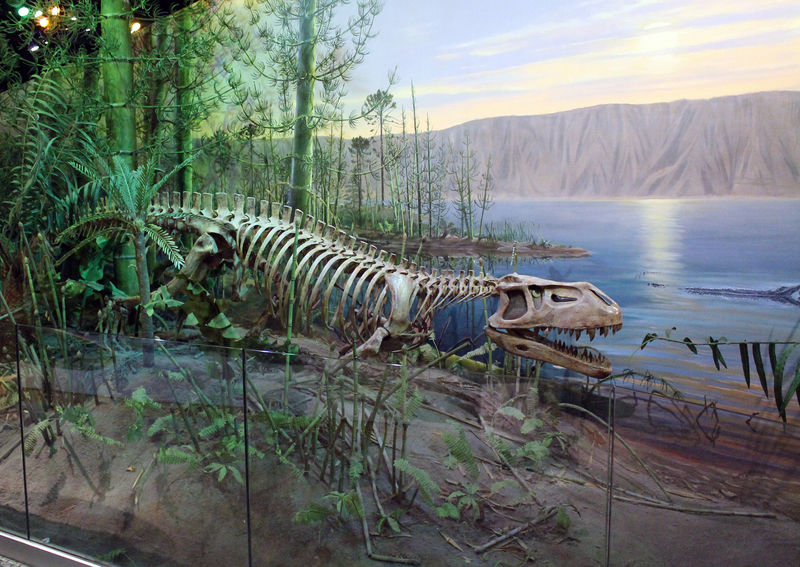 Green denotes dinosaurs, brown represents Cenozoic mammals, and blue encompasses everything else, including Paleozoic fossils, overviews of life over time, and non-dinosaurian Mesozoic life. Space allotment by subject in Evolving Planet at the Field Museum of Natural History. Dinosaurs: 31%; Mammals: 31%; Other: 38%. 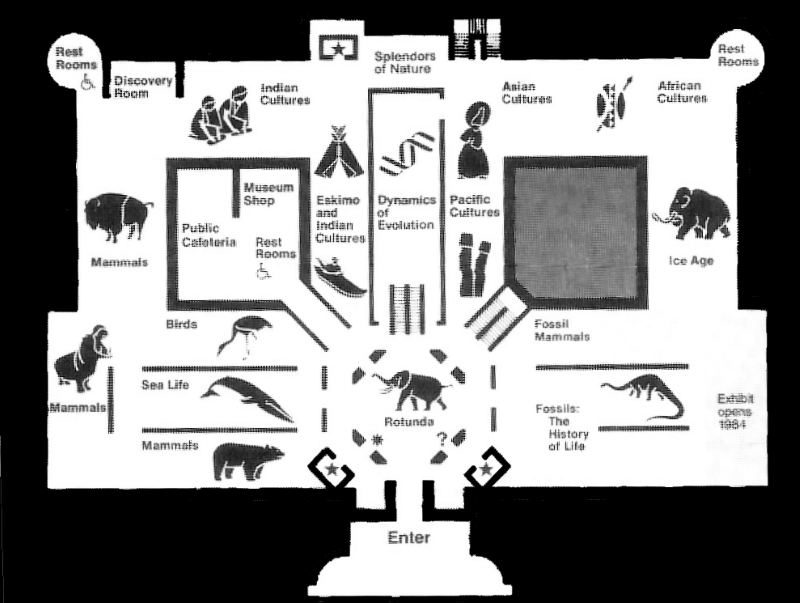 Let’s start with the Field Museum, since it’s the most straightforward. 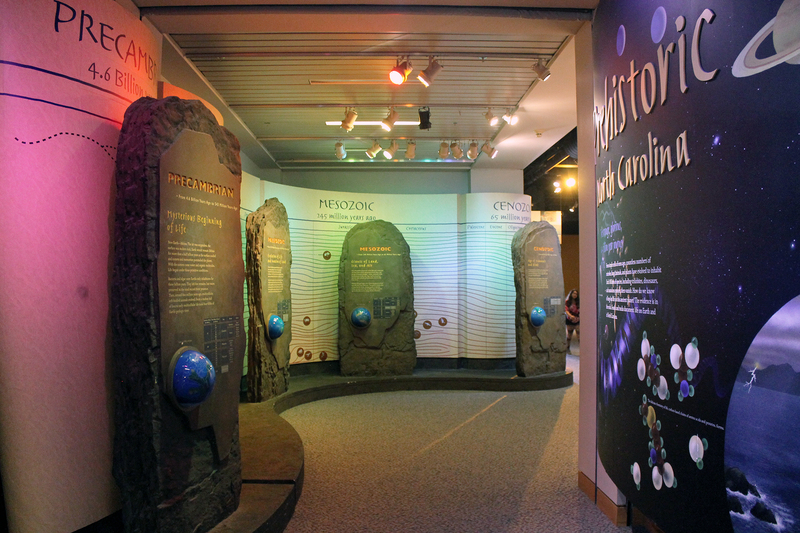 The Evolving Planet exhibit (on view since 2006) occupies three elongated halls totaling 27,000 square feet. 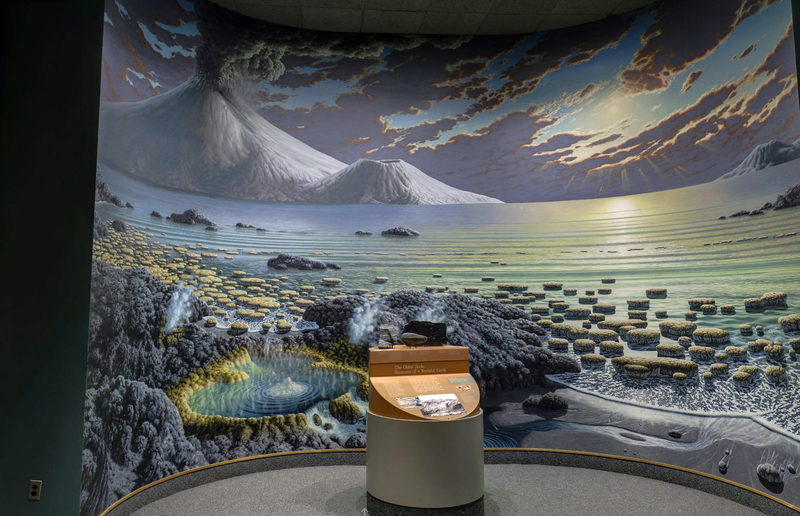 Evolving Planet is a classic “walk through time”-style exhibit, and the Paleozoic, Mesozoic, and Cenozoic are given remarkably equal amounts of floor space. 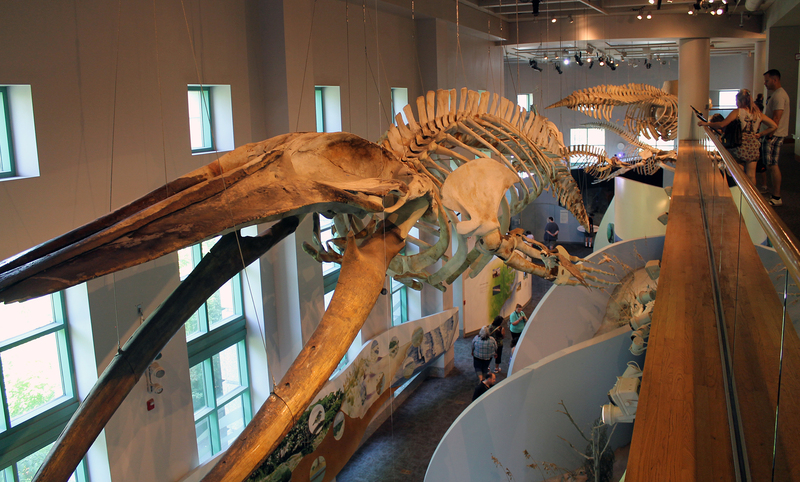 Even though the central hall is larger than the other two, it is partially occupied by plants, marine animals, and early Triassic weirdos. 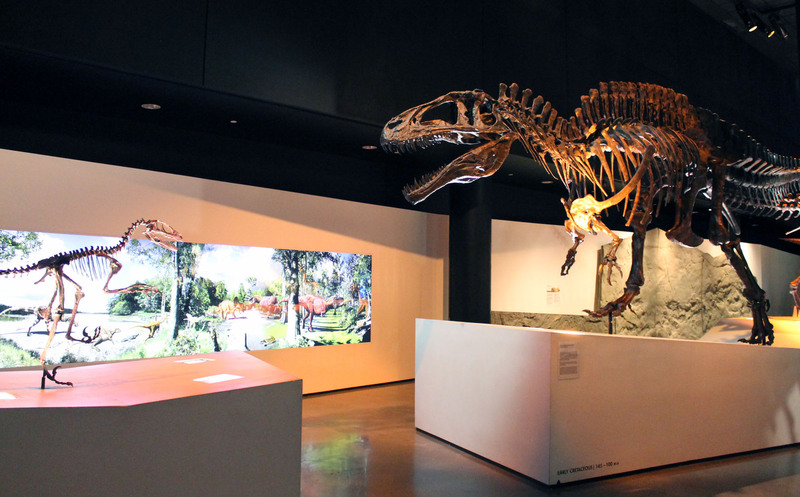 At 31% of the total exhibit, dinosaurs are right about where they should be. Space allotment by subject in the old fossil halls at the National Museum of Natural History. Dinosaurs: 15%; Mammals: 43%; Other 42%. 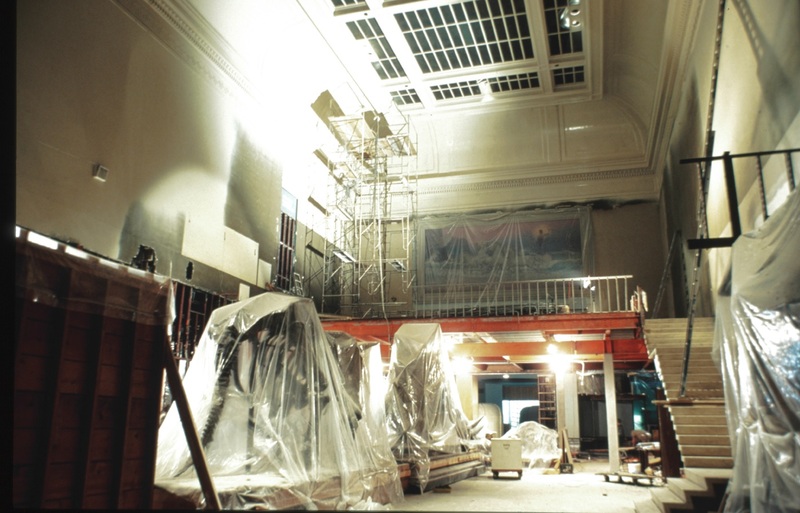 The old paleontology halls at the National Museum of Natural History (closed since 2014) demonstrate what happens when a museum goes without a dinosaur specialist for three quarters of a century. 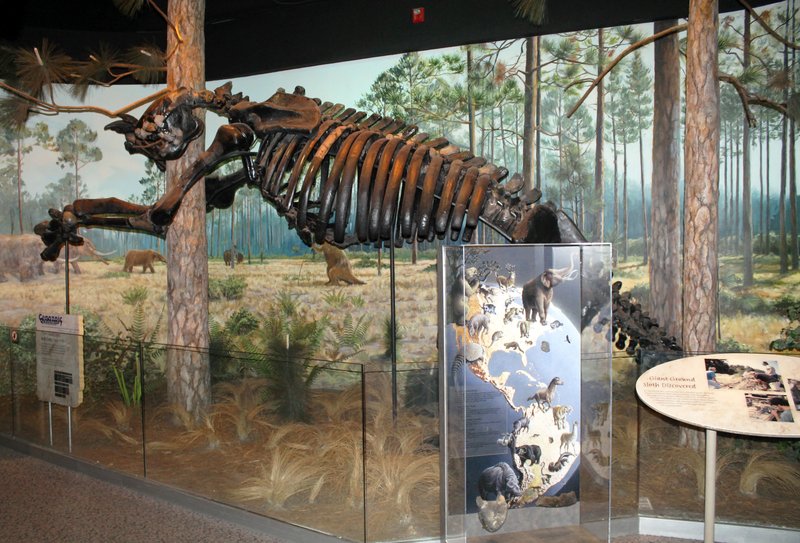 Cenozoic mammals and Paleozoic marine life were given room to spread out, while the dinosaurs were crowded into a paltry 15% of the available 31,000 square feet. 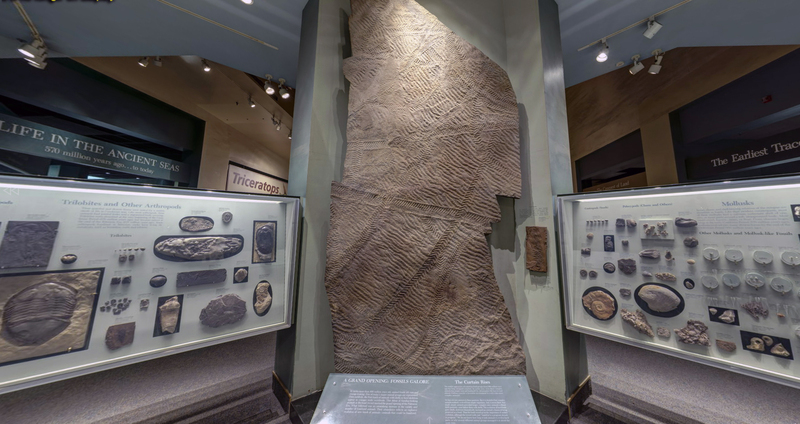 It’s worth noting that unlike the Field Museum’s current fossil halls, which were designed from the ground up in the early 1990s, the NMNH paleontology wing was built up in a piecemeal fashion over the course of a century. 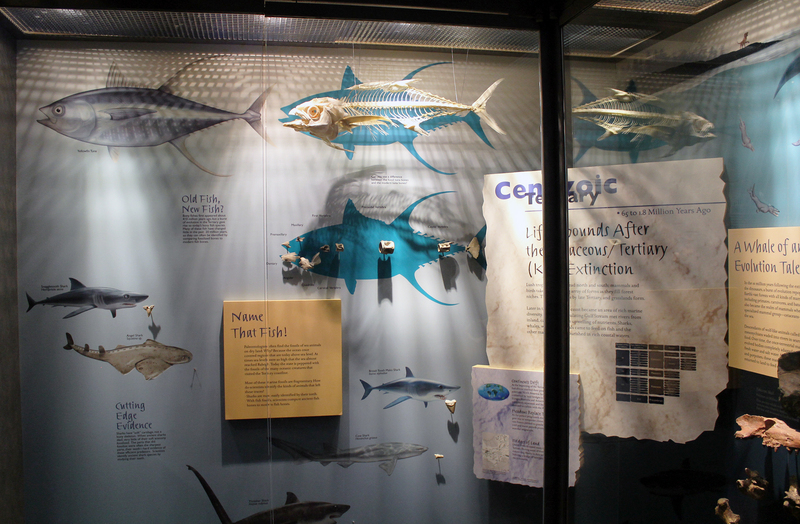 The space was repeatedly carved into smaller sections to make room for new exhibits, and designers had to work around existing specimens that were too expensive or difficult to move. 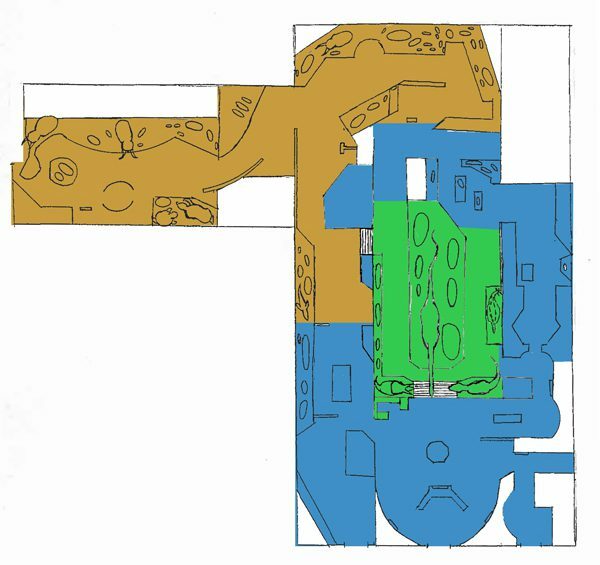 By the 1980s the halls had become something like a maze, and much of the available space wasn’t used very efficiently. 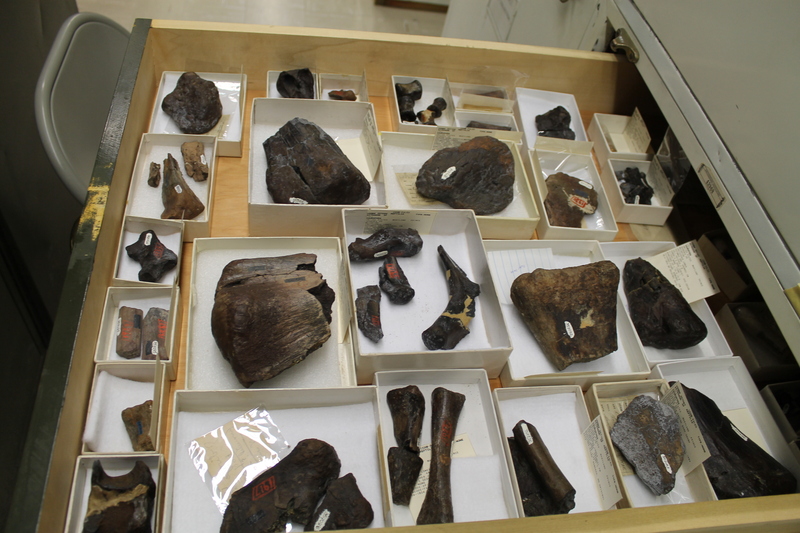 Still, the consistently meager amount of space allotted to dinosaurs made it clear where the curators’ interests lay. Space allotment by subject on the fourth floor of the American Museum of Natural History. 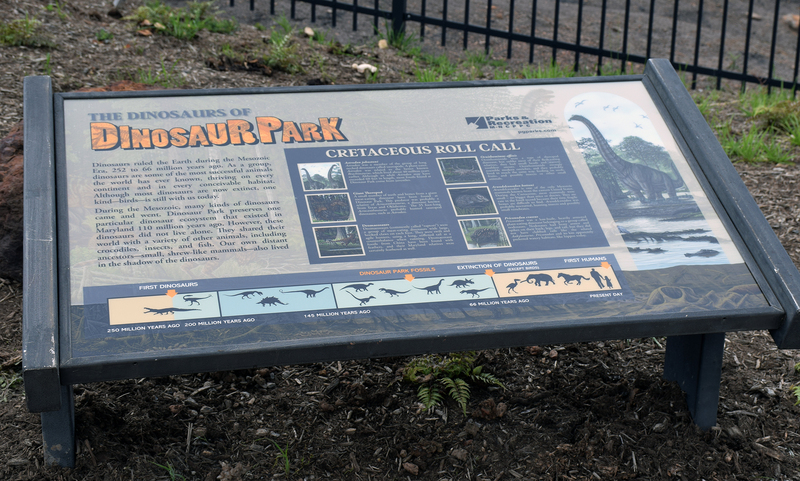 Dinosaurs: 40%; Mammals: 30%; Other: 30%. 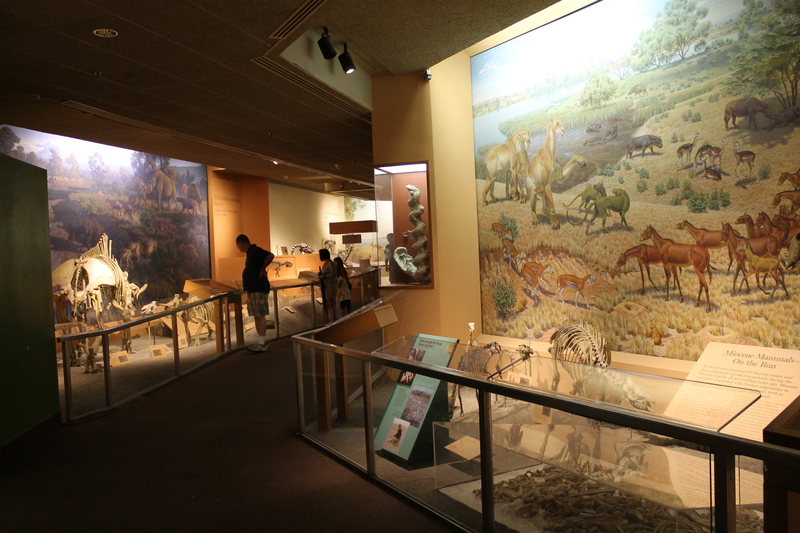 At the American Museum of Natural History, fossil exhibits are spread across six halls on the fourth floor. 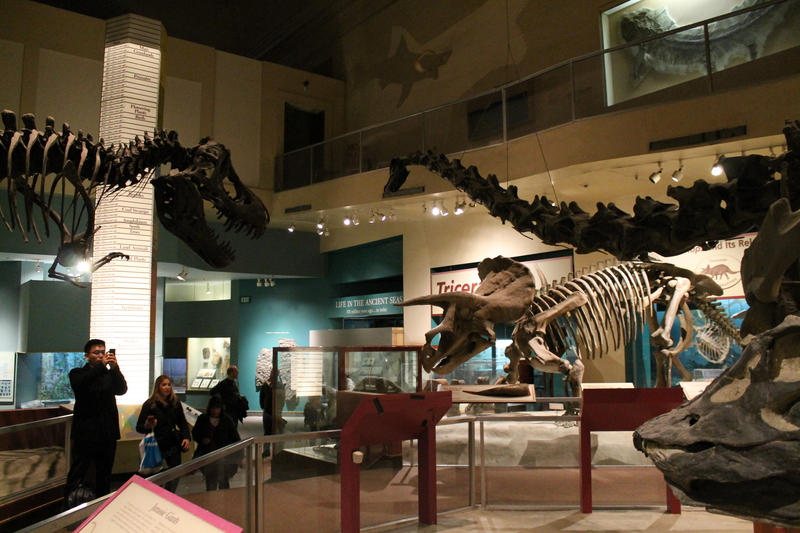 The last substantial renovation was completed in 1995, although a titanosaur skeleton was added to the Orientation Hall in 2016. 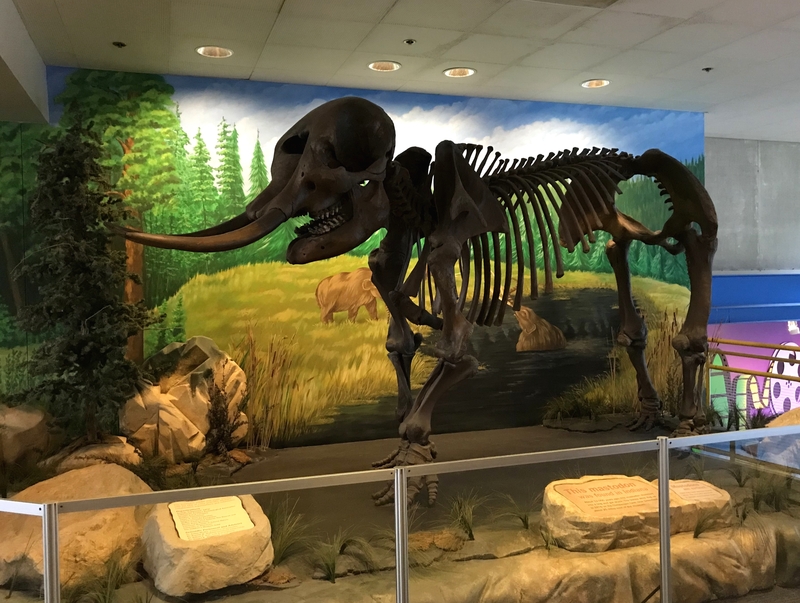 This exhibit differs from its counterparts at FMNH and NMNH in that it’s arranged phylogenetically, rather than chronologically. It is also limited to vertebrate evolution, so plants and invertebrates are not included. 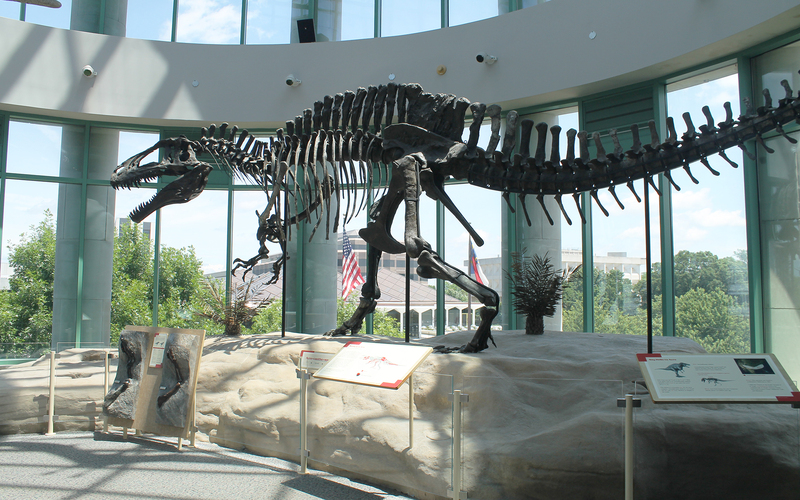 With those caveats in mind, dinosaurs occupy 40% of the 65,000 square feet of exhibit space. 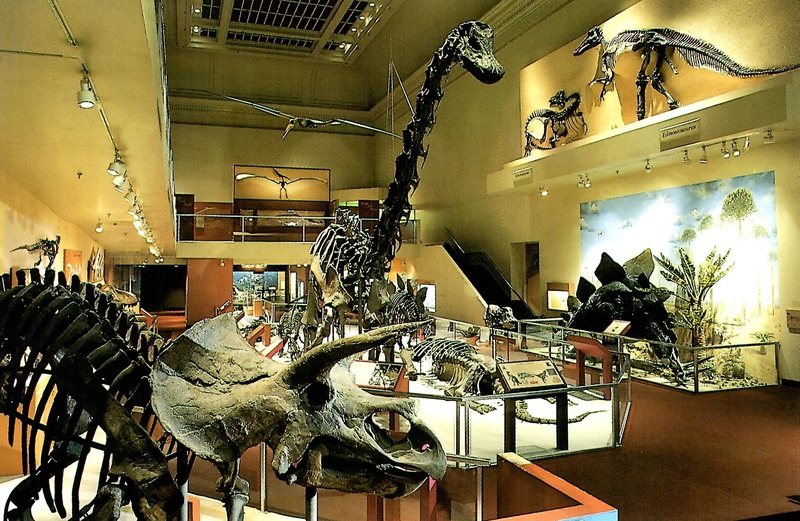 So, do museums have too many dinosaurs? 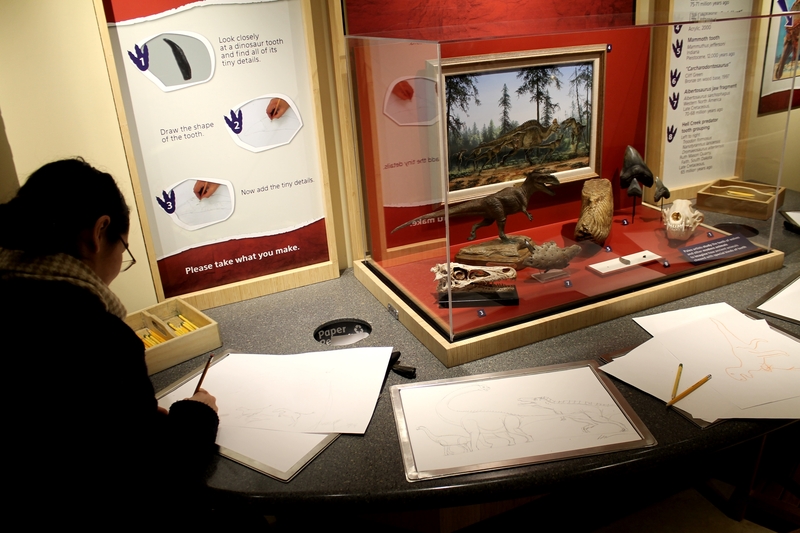 Based on this exercise, these three museums have just the right amount (or even too few). 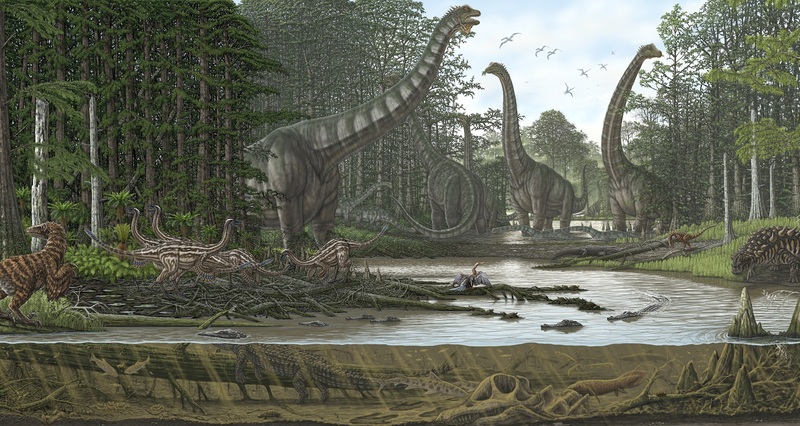 The proportion of space allocated to dinosaurs closely matches the time span of their ecological dominance during the Phanerozoic. 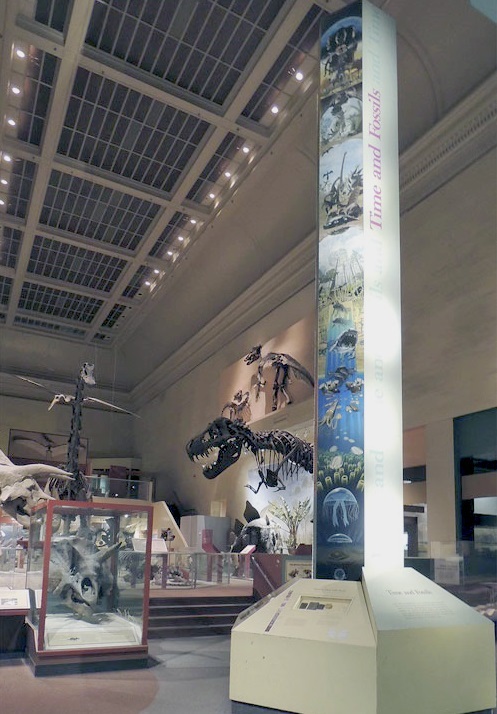 The percentage of dinosaur space at AMNH is on the high side, but if we also incorporated the square footage of the human evolution exhibit and the assortment of marine invertebrate fossils on display elsewhere in the museum, that percentage would decrease significantly. 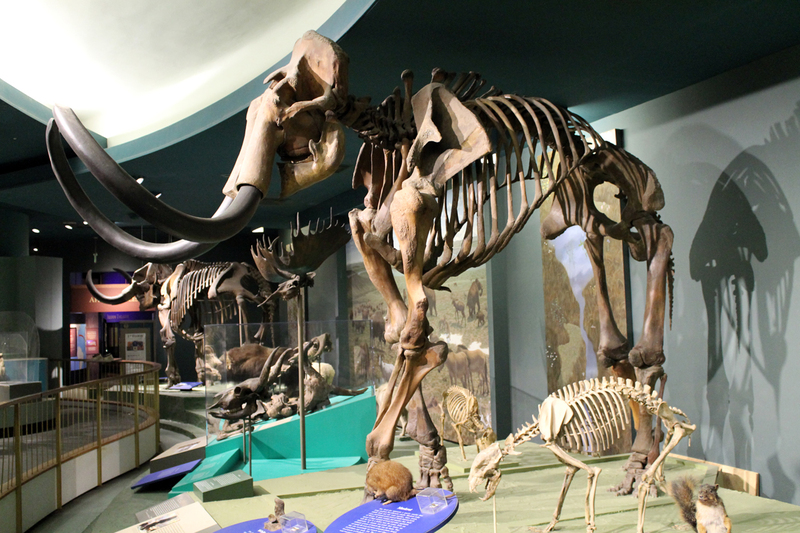 In fact, if this exercise has revealed anything, it’s that Cenozoic mammals get an awful lot of space, given that the “Age of Mammals” takes up only 13% of the Phanerozoic. Again, this is an extremely crude way to measure dinosaur-themed engagement efforts. 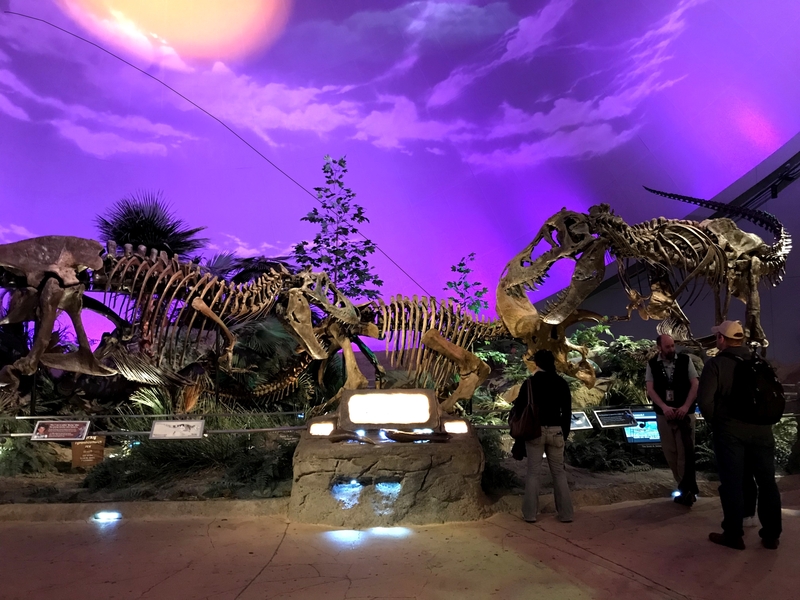 One might also look at the number of specimens on exhibit, or the newness of the displays (are dinosaurs getting updated more frequently, while other exhibits are left to languish?). 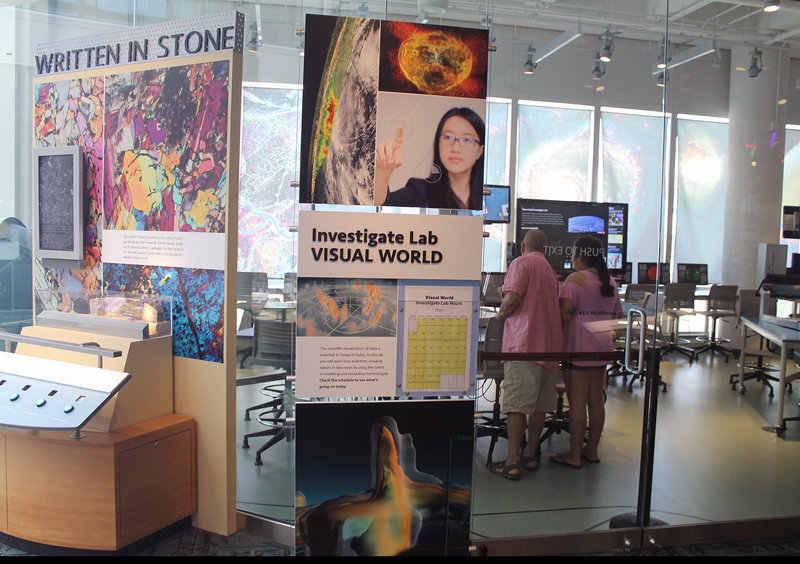 And that’s to say nothing of outreach beyond the permanent exhibits. Still, I hope this is a helpful starting point. 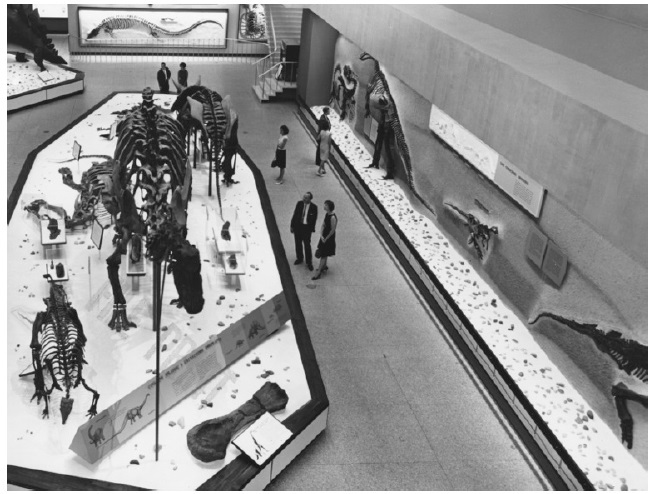 At the very least, it suggests to me that “are museums over-emphasizing dinosaurs?” is not the only question worth asking. 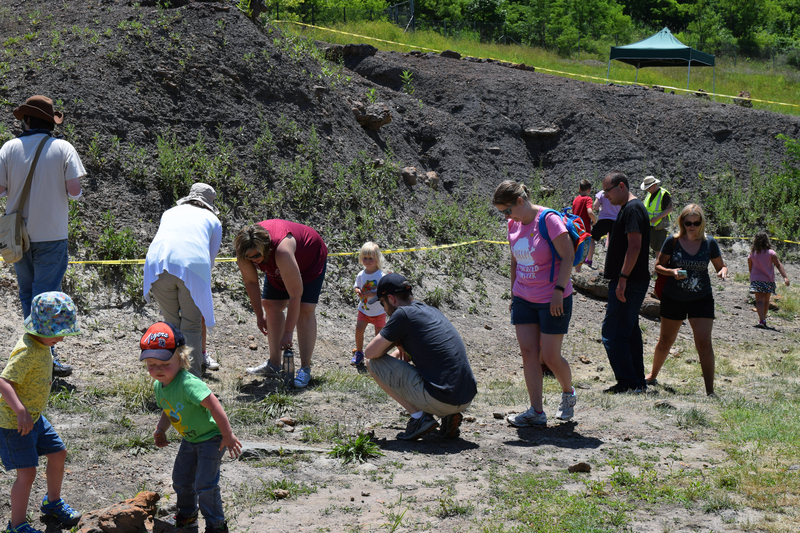 We also need to tease out if audiences are ignoring non-dinosaur paleontology outreach efforts, and if there’s a way to counter that. 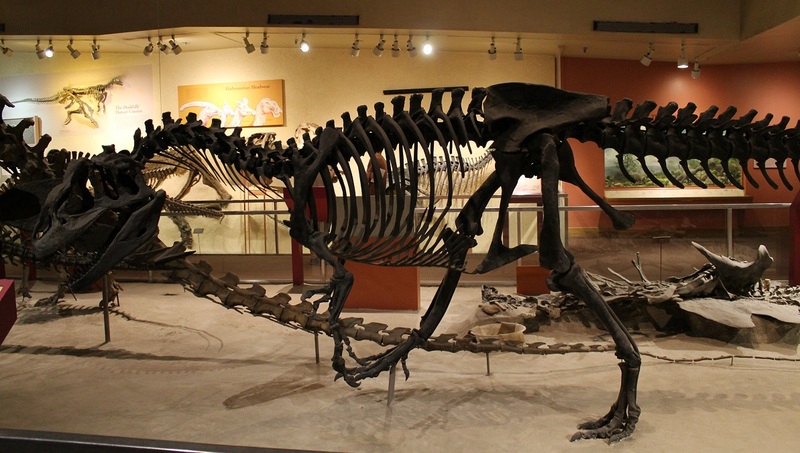 *It’s a tired but worthwhile point that comparatively few people can articulate what a dinosaur actually is. 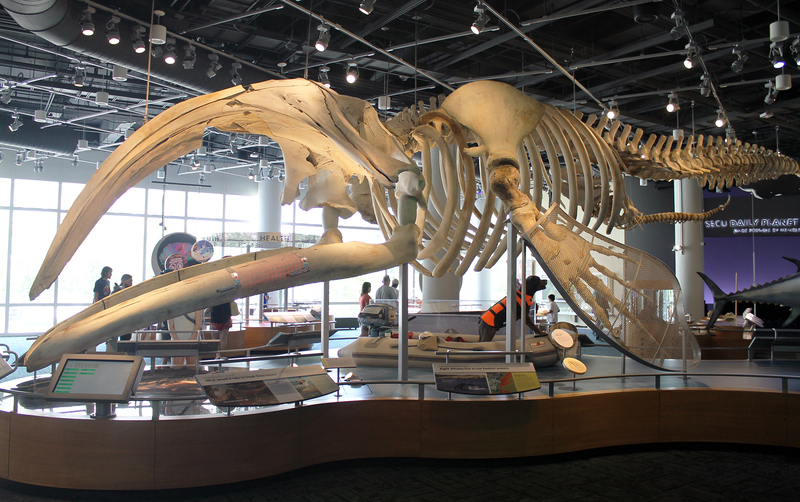 For many, anything big and dead (and displayed in skeletal form) is a dinosaur. This complicates the matter, because when people ask for dinosaurs they may actually mean prehistoric animals.